As Egypt gets gripped by a new wave of deadly protests, analyst William Engdahl tells RT that the country has got under yet another minority’s rule and most Egyptians are against any kind of Sharia constitution which the Muslim Brotherhood promotes. 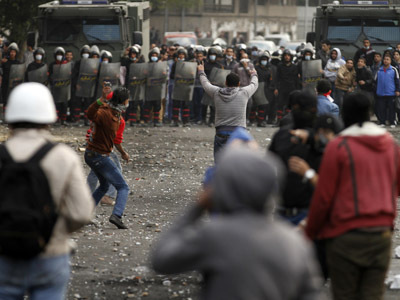 A fresh rally in Cairo was dispersed by water cannons and tear gas on Friday. 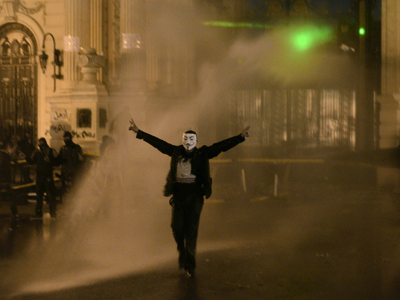 Three weeks into the anti-goverment demos, over 70 people have died in clashes. 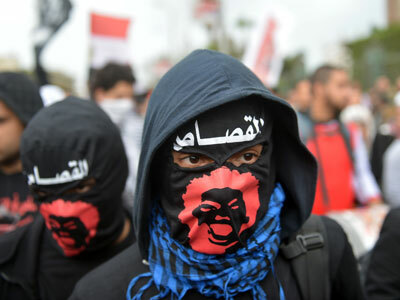 If the Muslim Brotherhood doesn’t step down, there isn’t going to be a peaceful solution, says William F. Engdahl, the author of ‘Myths, Lies and Oil wars’. 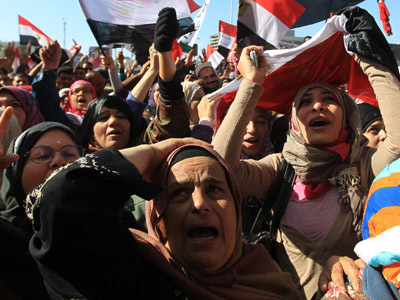 There are different ethnic religious groups in Egypt and only a coup by 12 percent, which is represented by the Muslim brotherhood, voted for the Sharia constitution, according to the writer. RT: What we are seeing now is basically a protest against protest. Is there a way to reach an agreement between Islamists and opponents? WE: I don’t believe so. 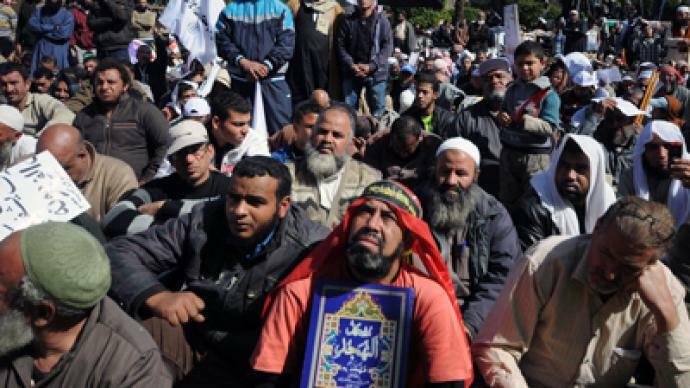 What we’ve had in Egypt in the last two years is in fact a coup by 12 percent, the actual number of eligible voters who voted for this Sharia constitution, and that’s the Muslim Brotherhood. I have friends in Egypt that report on this directly, that the majority of Egyptians are dead-set against any kind of Sharia constitution. They want their democracy, they want to be able to breathe openly, and worship God in their own way and not be told what to do. I think the interesting thing is what's now happening in Washington as the second Obama term began. Hillary Clinton was a strong supporter of the Brotherhood option in Egypt and Tunisia and elsewhere. She’s now gone and John Kerry is coming in as Secretary of State, we’re pending the new secretary of Defense, who made certain statements that irritated certain war hawk factions in Washington and elsewhere.I think what we’re seeing here is an Obama pivot. The entire Muslim brotherhood experiment of the Arab Spring is turning out to be a catastrophe and they're pivoting their energies towards China and downgrading their support of figures like Morsi. 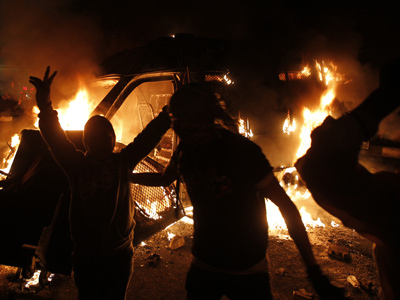 I think what’s playing out now is that the Muslim brotherhood is finished in Egypt. I don’t see any way that there’s going to be reconciliation. People smell that, they sense that, they feel that and that is what is driving this. So either the Brotherhood steps down peacefully and respects the will of the majority or it’s going to be bloody and ugly. RT: Is the new wave of protests the beginning of a new revolution? WE: ‘Revolution’ is a word used very loosely. The question is what the power structures are: what role will the military play if the Brotherhood is out of power, the business factions and so forth, what role will the religious groups play? Egypt has a strong Christian Coptic tradition; it has many different ethnic and religious groups. If those are allowed to share power peacefully that will be the deciding factor. 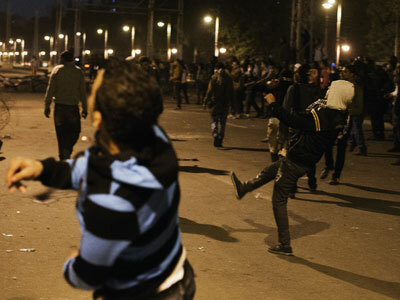 RT: There have been reports of pro-Muslim Brotherhood groups attacking protesters even peaceful ones. Does that mean that Egypt is becoming a militia state then? WE: I think you have a lot of agent-provocateurs that try to hurt the cause of the democratic protest. So that’s to be expected. Where CNN zooms its camera in to make opportunity shots in Tahrir square and violence elsewhere, we don’t need to take that as a reality. CNN’s record on this is pretty black. RT: Some anti-government groups have been accused of resorting to violence and anarchy. Is that really what they need to do to make their voices heard at this point? Is there any other way? WE: Not at all. The violent incidents that are blamed on anti-government groups are most likely police provocateurs trying to paint the opposition black, but I don’t think that is the nature of the opposition. The vast majorities are peaceful and they want peaceful change.